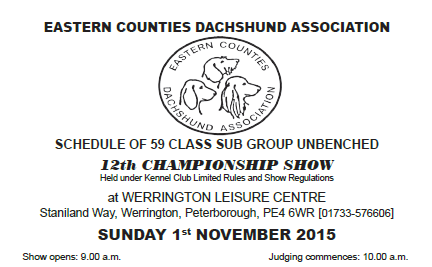 EDCA will be attending the Suffolk All About Dogs Show with three different breeds of Dachshunds. Come along to ask questions and see if the Dachshund is the perfect dog for you. With exhibitors showcasing everything for your dog, entertainment, fun dog shows, competitions, family entertainment, meet the breeds and expert advice at the show, its the perfect place to visit with your dog! From well-known breeds such as the German Shepherd and Boxer, to the lesser known Alaskan Malamutes. All About Dogs features numerous breed stands where visitors can learn more about a vast range of dogs. 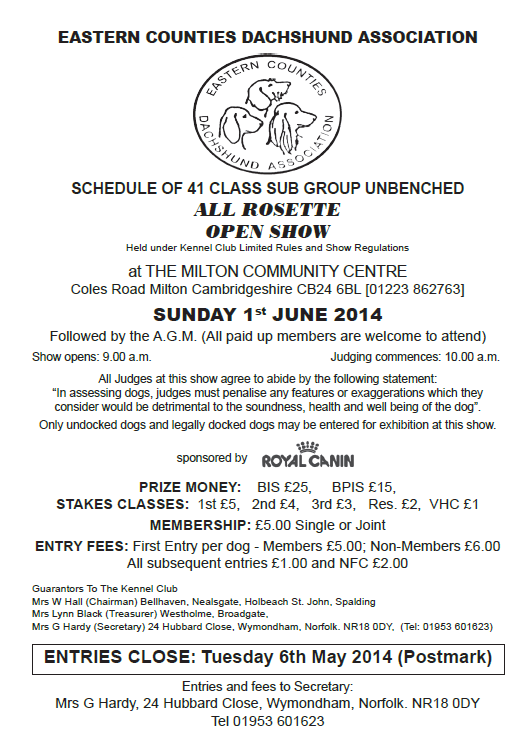 Miniature Dachshunds will now be judged by Christine Russell (Russtek).